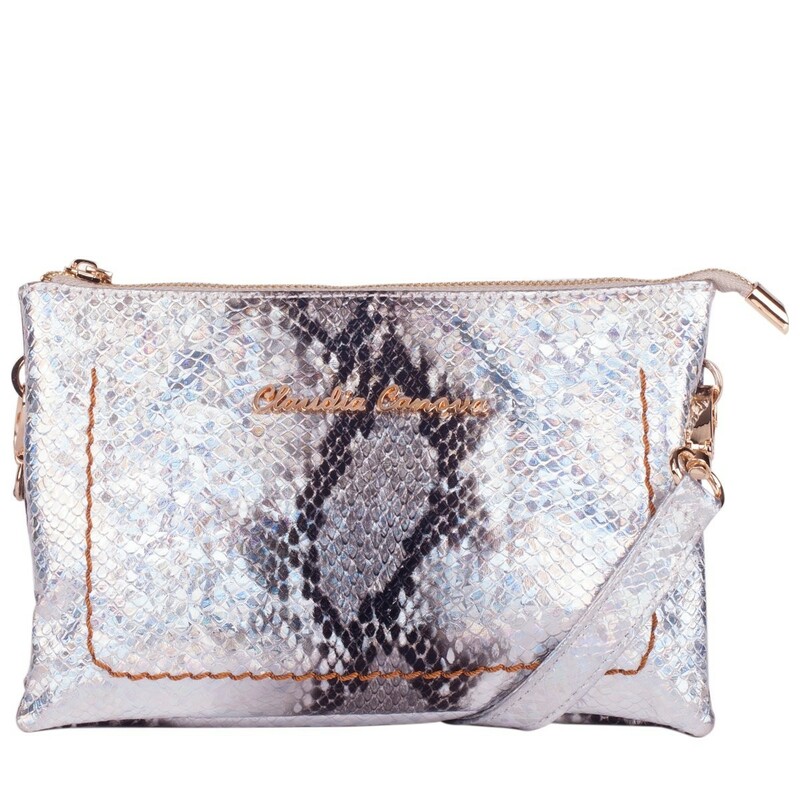 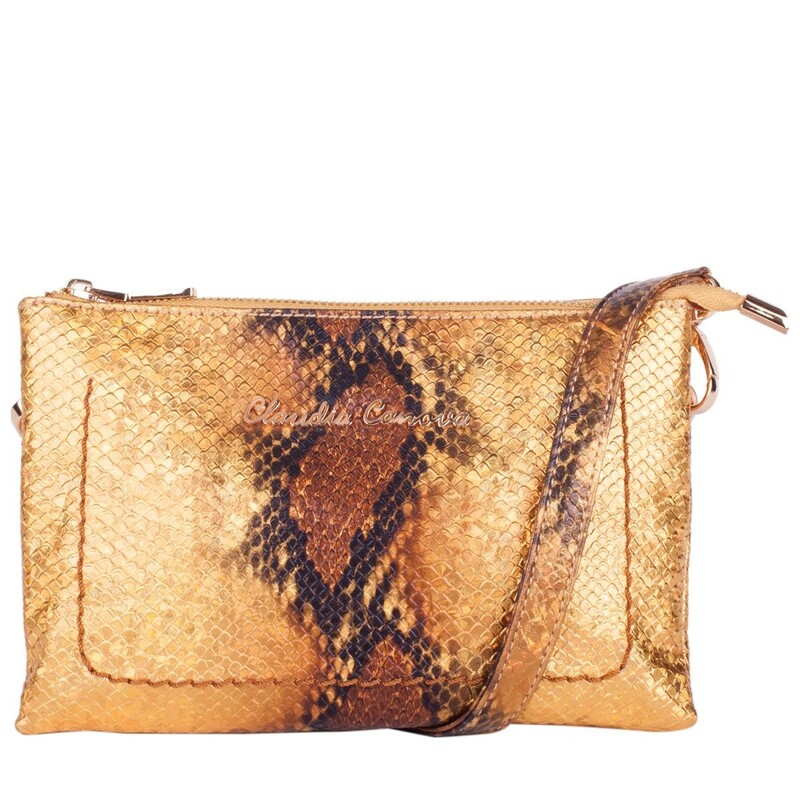 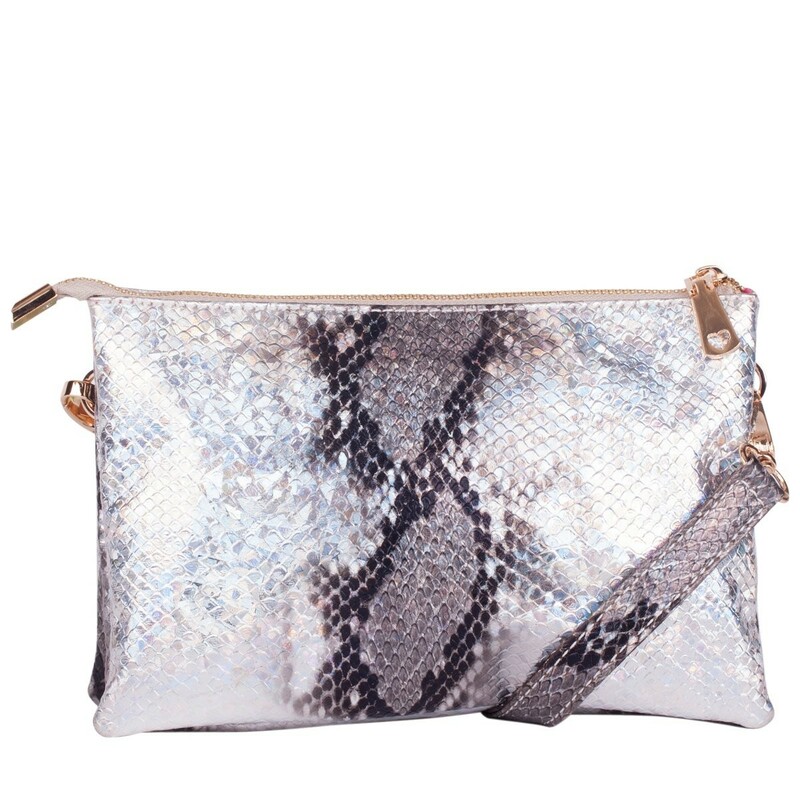 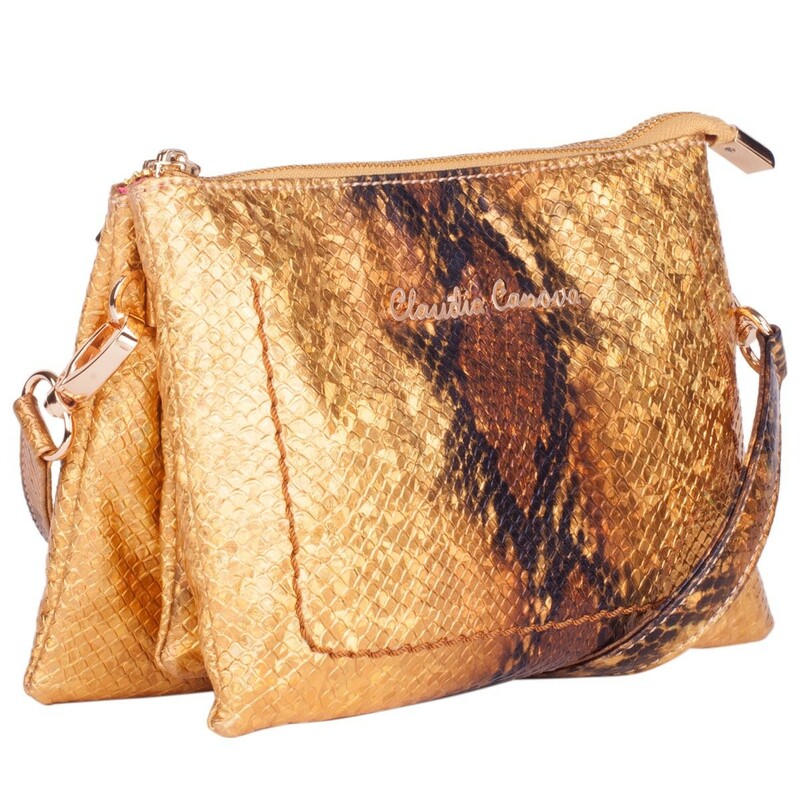 Demand attention with this stunning snakeskin printed PU cross body bag. 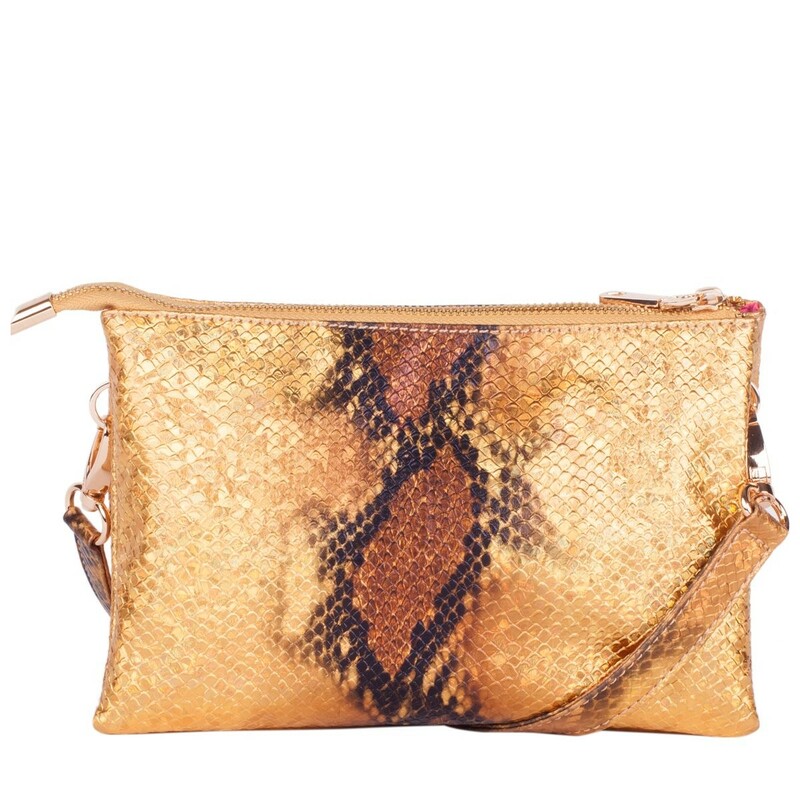 The clever interior is perfect for organising your essentials with three compartments and zip top fastenings. 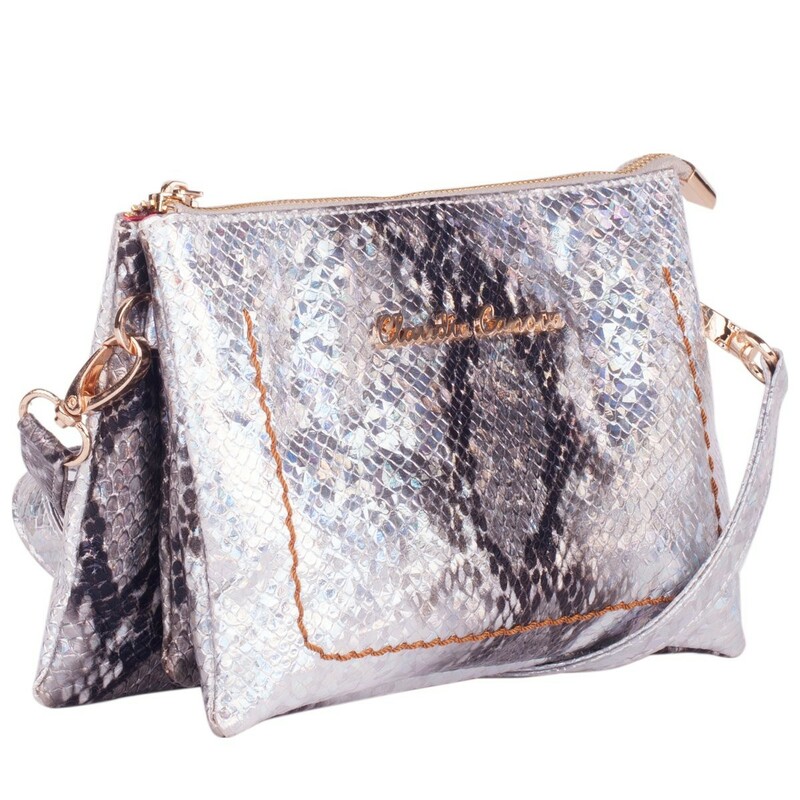 The heavy gauge top stitching detail on the front gives a fashion forward finish.